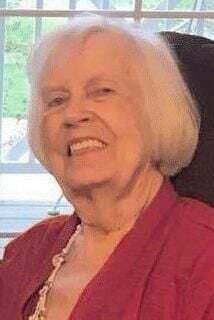 ROCHESTER, Minn. -- Betty June (Kisilewski) Olson, 93, of Rochester passed peacefully Wednesday, Feb. 6, 2019, at Season's Hospice House in Rochester. Betty June was born June 17, 1925, in Sand Creek, Wis., to Henry and Amanda Hendrickson. Betty graduated from Chetek High School, Wis., in 1943 where she was the drum major in the marching band. After taking the Civil Service exam, she worked as a key punch operator for the Government in Chicago during World War II. In 1948 Betty was united in marriage to Harry O. Kisilewski and they made their home in Chippewa Falls, Wis., from 1948 until 1960 when they moved to Rochester. Betty worked for JC Penney as an interior decorator for many years. In 1994, Betty married Lorimer "Glenn" Olson in Lake City, Minn. Betty enjoyed interior decorating and fashion, always using and wearing bright colors. She was also a seamstress and had a deep love of music, especially big band. She is survived by her husband, Lorimer "Glenn" Olson of Minneapolis, Minn.; her four children, Dave (Mary) Kisilewski of Mason City, Iowa, Greg (Mary) Kisilewski of Oronoco, Minn., Debbie (Dan) Holmes of Little Falls, Minn., Susan (Taylor) Bauman of Rochester; 12 grandchildren, 11 great-grandchildren, and many extended family. She was preceded in death by her parents; first husband, Harry O. Kisilewski; one brother, Harvey Hendrickson; and three sisters, Corrine Turner, Harriet Sola, and Helen Hendrickson. A celebration of life service will be held 11 a.m. Monday, Feb. 11, at Ranfranz & Vine Funeral Home, 5421 Royal Place NW, Rochester, with Pastor Anjanette Bandel officiating. The family will greet friends one hour prior to the service at the funeral home. It was Betty's wish that those attending should wear bright colors. Burial will be held in the spring at Oakwood Cemetery in Rochester. Memorials are preferred to Season's Hospice, Rochester MN. Arrangements are entrusted to Ranfranz and Vine Funeral Homes 5421 Royal Place NW, Rochester, Minn. 55901 (507) 289-3600 www.ranfranzandvinefh.com.